We’ve all heard the stories of Kashmir. Its haunting beauty, the tragic landscape, the cold mountains and the streets that take you back in time, when life was simpler. So you might be wondering what it is that you can read about Kashmir, that you haven’t read before. The answer is food! The unique food of Kashmir often gets hidden behind the reddish glow of the autumn leaves, or covered by the white gleaming snow. So today is going to be all about food. Everyone celebrates Kashmir, we’ll celebrate the food of Kashmir. As we’ve said once before, travelling is a lot about the food you eat. Combination of middle eastern spices married with the flavours of India gives the food here its unique taste. These 6 delicacies will leave you craving for more. 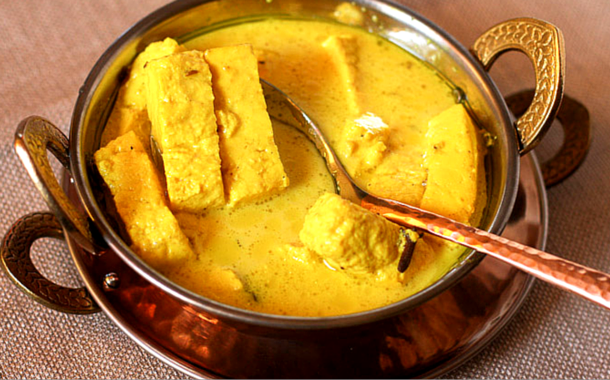 A signature Kashmiri dish, there’s a good reason why this features at the top of our list. The aroma of the lamb entices you, long before you lay your eyes on the dish and fall in love with it. Brought to Kashmir by the Mughals, it’s lamb cooked in various spices, onion paste, ginger, garlic and yogurt. Pair it with butter-garlic naan and you’ll be in food paradise. Another traditional mutton delicacy, it is popularly known as a “dish for the kings.” The mutton is minced and then beaten down with a mallet, until it’s soft and gooey. It’s then rolled into balls and cooked in a yogurt based gravy called yakhni. This one’s for all the vegetarians in the house. When translated, Lyodur = Yellow and Tschaman = Cottage cheese. It’s Paneer cooked in a gravy infused with turmeric. Cooked in Kashmiri households on almost a daily basis, this one will have you licking your fingers. Now this might sound like a nice spicy dish, but it’s not. 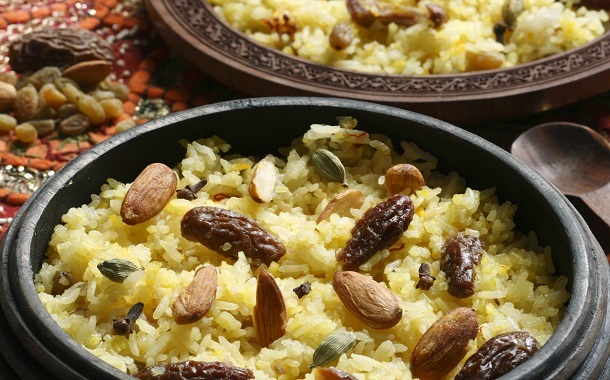 Sweetened rice dish, it is often served as a dessert and is prepared with cardamoms, almonds, ghee, sugar, milk, cashew, saffron and cinnamon. A good way to end your gourmet Kashmiri food feast. 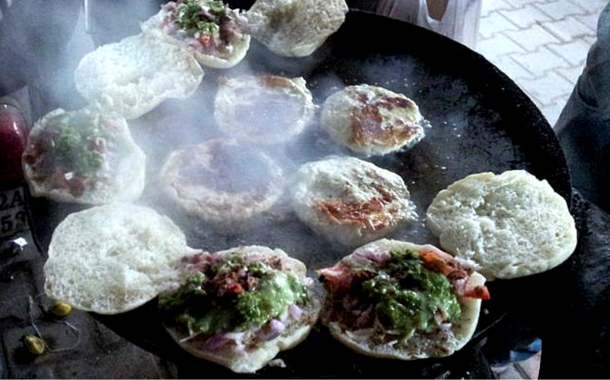 A very famous local street food of Kashmir, it has some very strong flavours and is an acquired taste. Made from cow’s milk, don’t give up on it after one bite. Go for the second one, then a third and by the fourth bite, you’d have fallen in love with it. This is a Kashmiri delicacy, one you absolutely cannot miss, and I can’t stress the importance of this statement enough. It’s a traditional tea found in Northern Pakistan, Afghanistan and most parts of the Kashmir Valley. This tea is often boiled with saffron strands, cinnamon barks and cardamom pods. Served with honey and sugar, one sip of this clear concoction and you’ll forget all your troubles and worries. 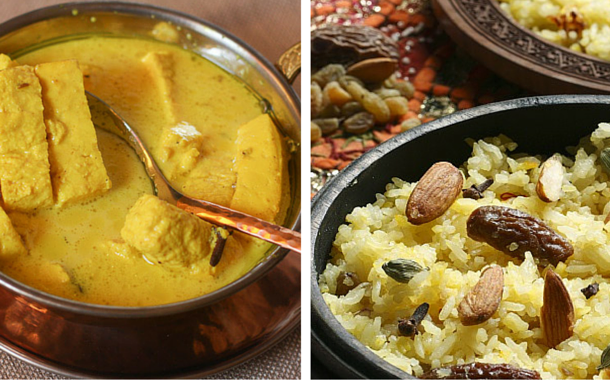 Now that you have your Kashmir food guide, all that’s left is for you to get your Kashmir tour packages and experience these tasty wonders for yourself.